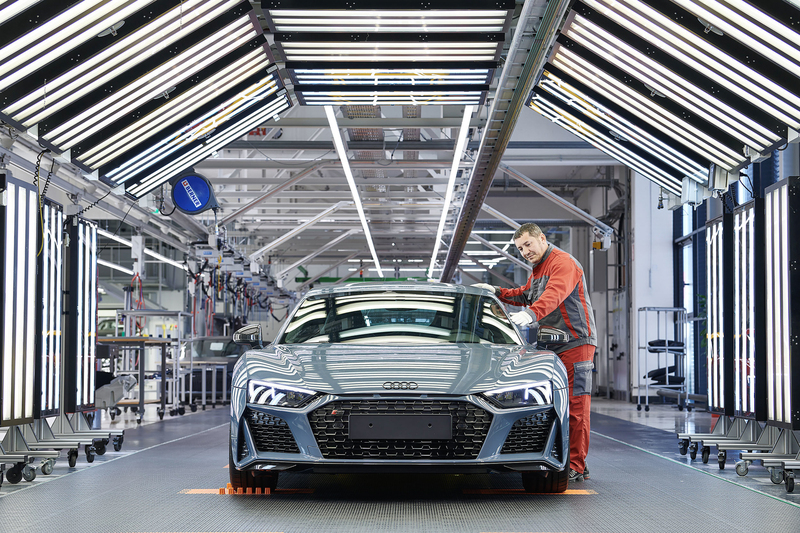 Earlier today, Audi Sport teased an image of the newly facelifted Audi R8 on its Facebook page. Now, the four-ringed brand has completely taken the wrapping off of its nipped and tucked supercar. 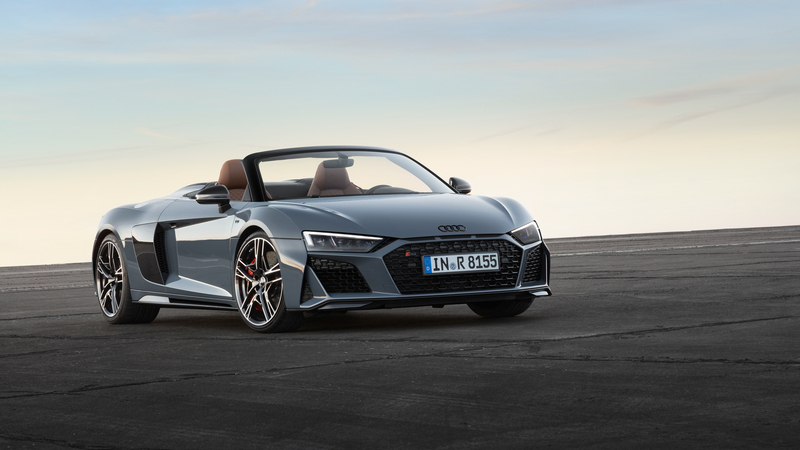 So here it is, the R8 Facelift, a swan song of sorts for the famous mid-engine Audi. While the second-gen Audi R8 was a great looking car from the get-go, it was starting to get a bit stale compared to some of its newer rivals, like the McLaren 570S. Now, though, it’s been given a new face, some new aerodynamics and a big of extra anger built in. So up front, it gets a new face, which features a wider Singleframe grille that makes the entire front end seem wider and lower to the ground. 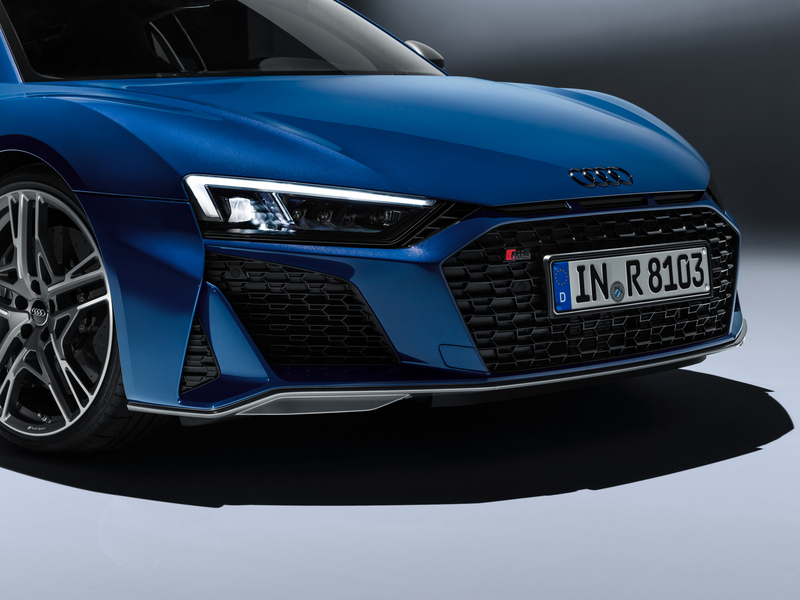 It also gets three horizontal slits right above the grille, which are designed to be reminiscent of the Ur-Quattro. There are also new front air intakes, which are much larger and more aggressive than before. 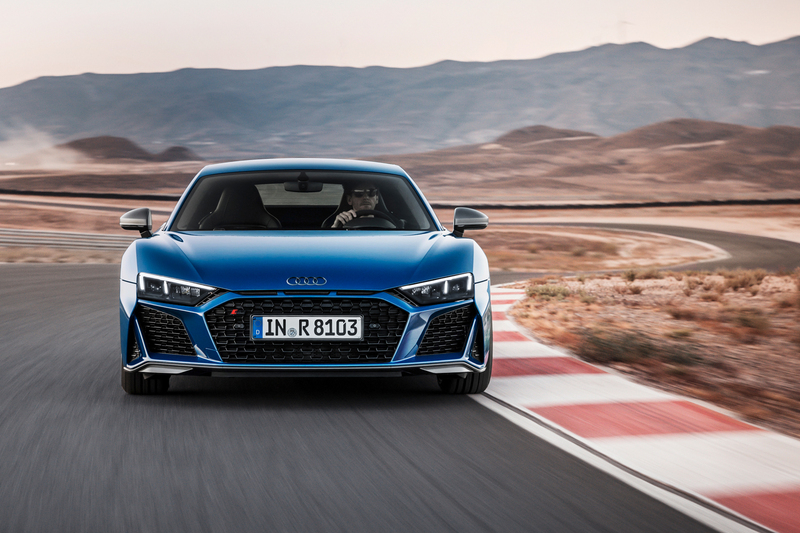 Overall, it’s a much angrier, much sportier face that makes the R8 seem more like the supercar that it is. Where as the current pre-facelift car is a bit tame, this has some aggression. There are also three new exterior finish packages available to customers, depending on the model variant chosen. For the standard Audi R8 V10, all of the trim buts, front splitter and rear diffuser are all finished in gloss black. 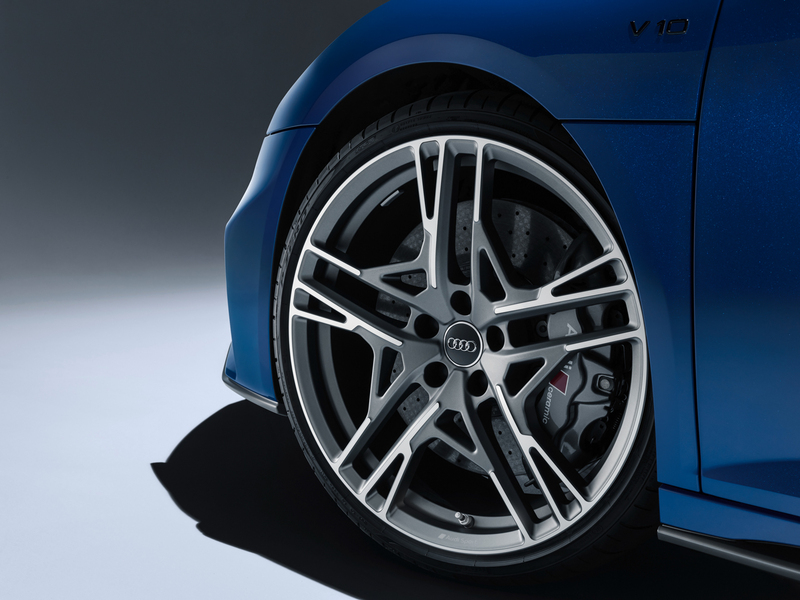 If you upgrade to the Audi R8 V10 Plus, those pieces get a cool matte titanium finish. 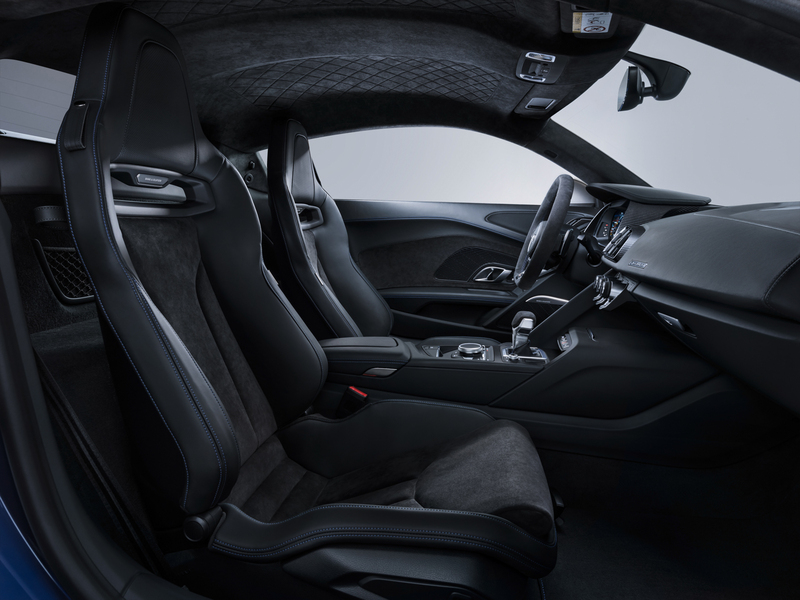 For both R8 variants, a high-gloss carbon fiber package is available. Customers can also get the four-rings logo and badges in gloss black. Two new colors options are available, Kemora gray and Ascari blue, and new interior options are available as well. Inside, Pastel Silver with Rock Gray stitching, Palomino Brown with Steel Gray stitching and Black with Utopia Blue stitching are newly available. 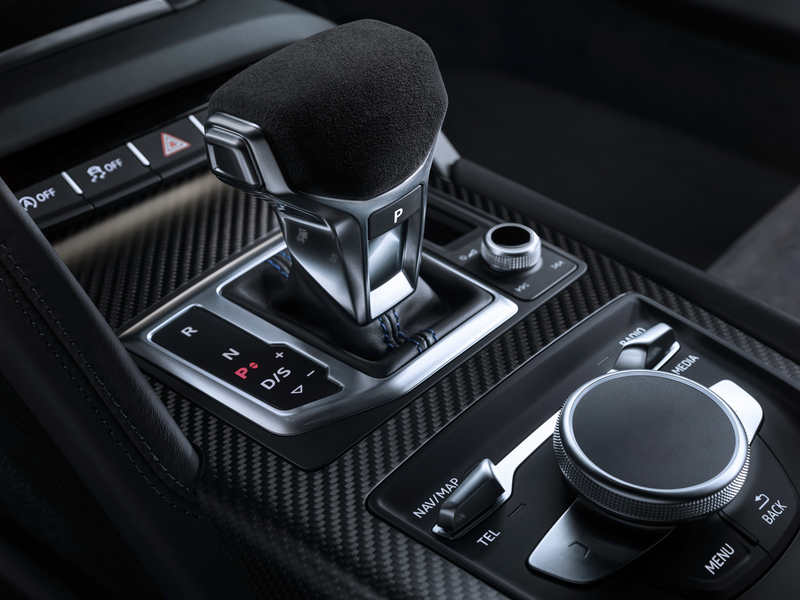 Also, the inside gets an optional performance package which brings an Alcantara steering wheel, shift lever and seat inserts for the R8 V10 Plus. But don’t just think this facelift is entirely cosmetic. There are some upgrades under the skin as well. For instance, both powertrain options get bumps in power. 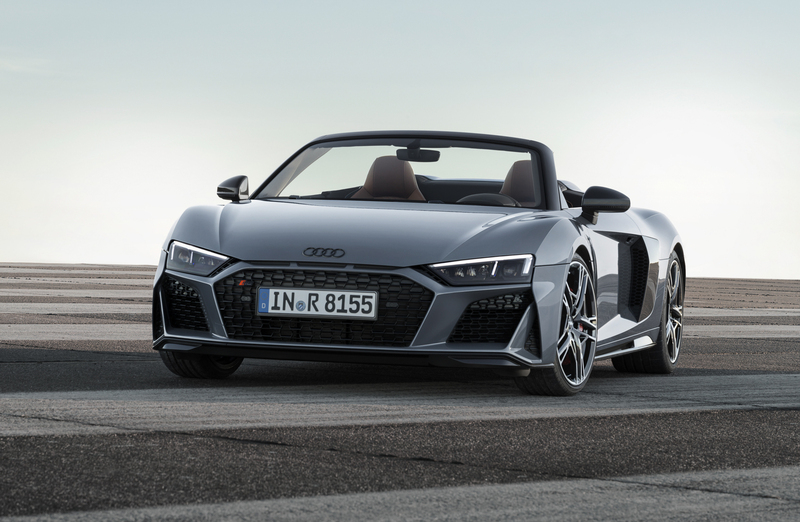 Both variants of the R8 still get the same 5.2 liter naturally-aspirated V10 engine but with different states of tune. 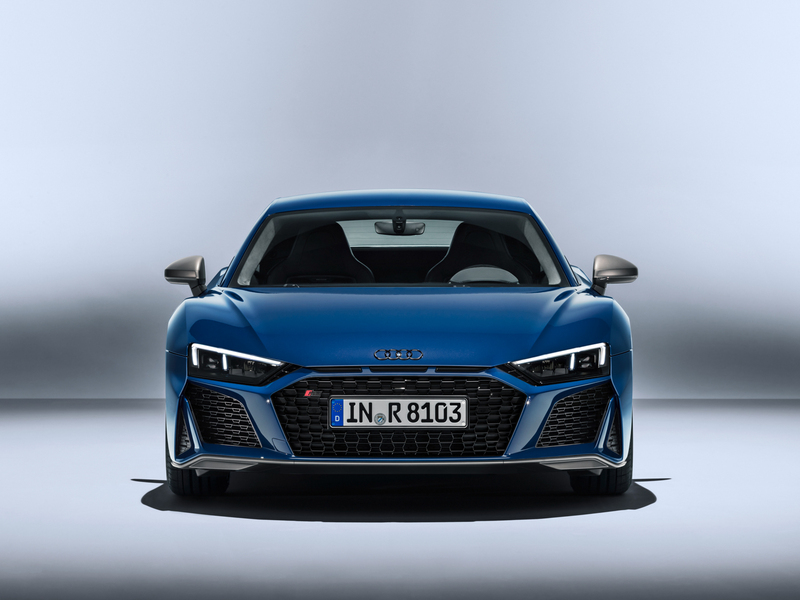 The standard R8 V10 now makes 570 hp and 405 lb-ft of torque, up from the pre-facelift car’s 540 hp and 398 lb-ft. 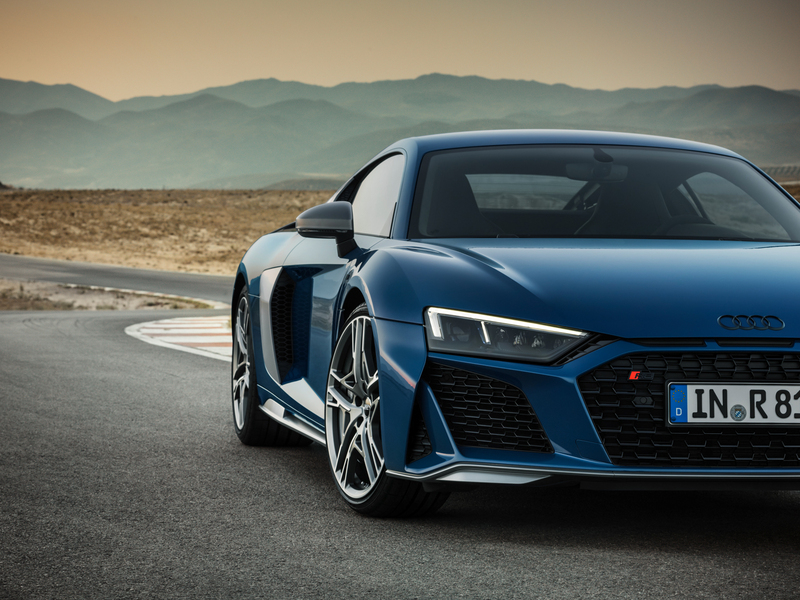 While the Audi R8 V10 Plus now makes 620 hp and 427 lb-ft, up from 610 hp and 413 lb-ft. 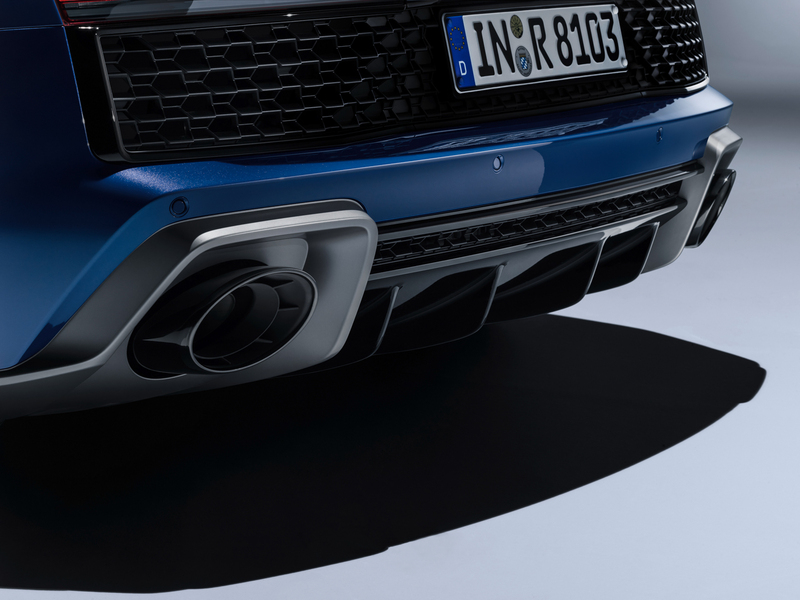 So it gets a decent bump in power, the new R8, regardless of which variant you choose. Even better than just the power upgrade, though, is that the engines in the newer car should rev a bit sweeter and maybe even a bit quicker, thanks to new titanium components in the newly-optimized valve train. 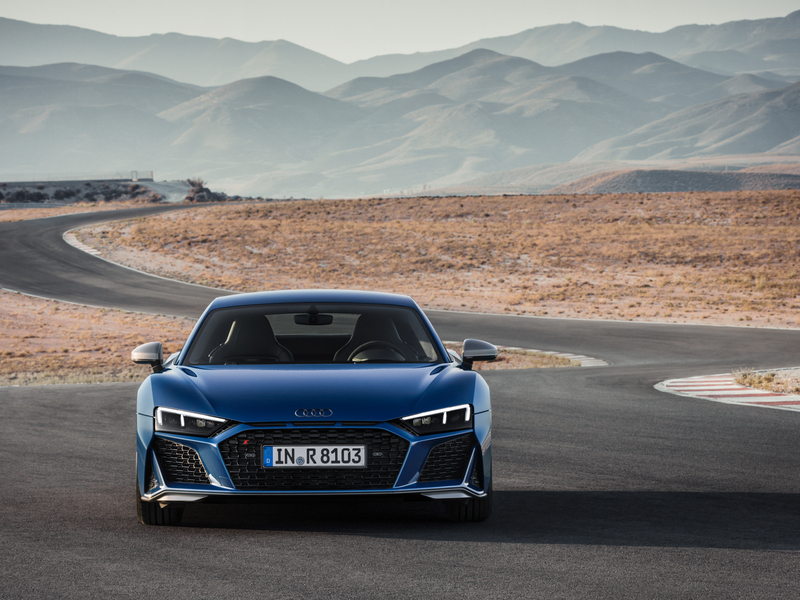 So 0-60 mph happens in 3.4 seconds and 3.1 seconds, for the R8 V10 Coupe and V10 Plus Coupe, respectively. 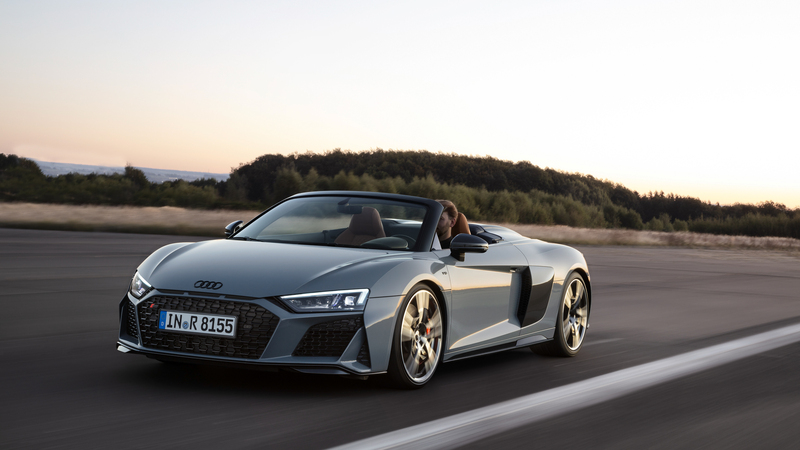 While the Spyder variants take 3.5 seconds for the standard V10 and 3.2 seconds for the V10 Plus. Thankfully, Audi also addressed quite possibly the only real criticism of the pre-facelift R8 — its steering. 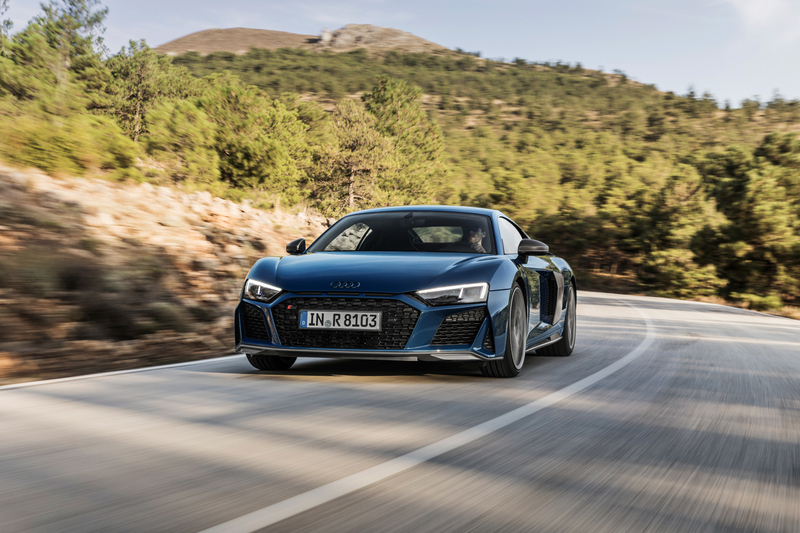 While the current R8 V10 is an astonishing car, its steering and handling can feel a bit lifeless when compared to some of its newer competitors. While it’s unbelievably impressive, with capabilities far beyond the average driver, it just always felt a bit clinical. 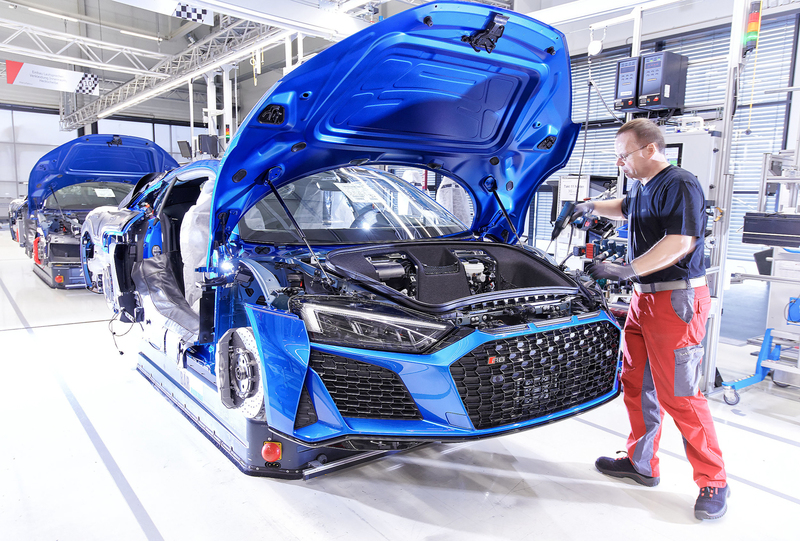 So Audi has tweeked the electromechanical steering rack, the dynamic steering system and even the three selectable modes. So now it should be more precise and more exciting to drive. Audi also worked on distinguishing its drive select modes (Comfort, Dynamic and Auto), making them more unique and less alike. Previously, there really wasn’t much reason to switch out of Comfort, as the other settings really didn’t seem to do much. Now they should. There are also three new modes for the ESC (Electronic Stabilization Control). Audi has tweaked the new ESC and given it three driver-selectable programs; Dry, Wet and Snow. All of which get different Quattro all-wheel drive and rear differential algorithms to detect slippage and apply power properly. 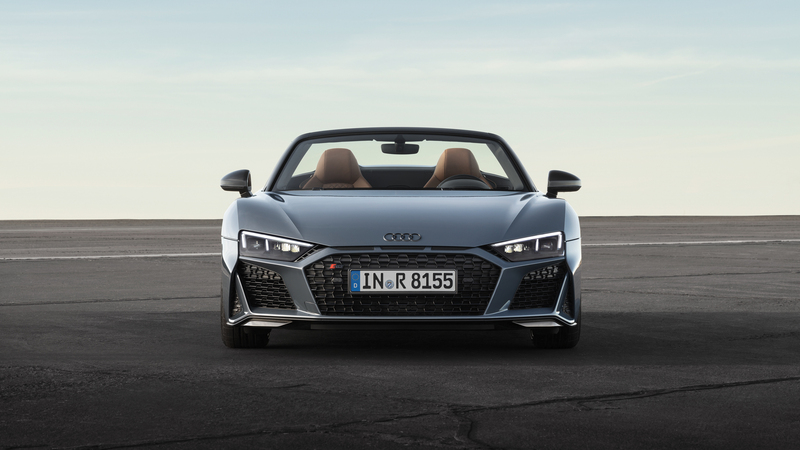 These new modes further help the Audi R8 to truly become the everyday, all-weather supercar. The Audi R8 was never really a car that needed more excitement. 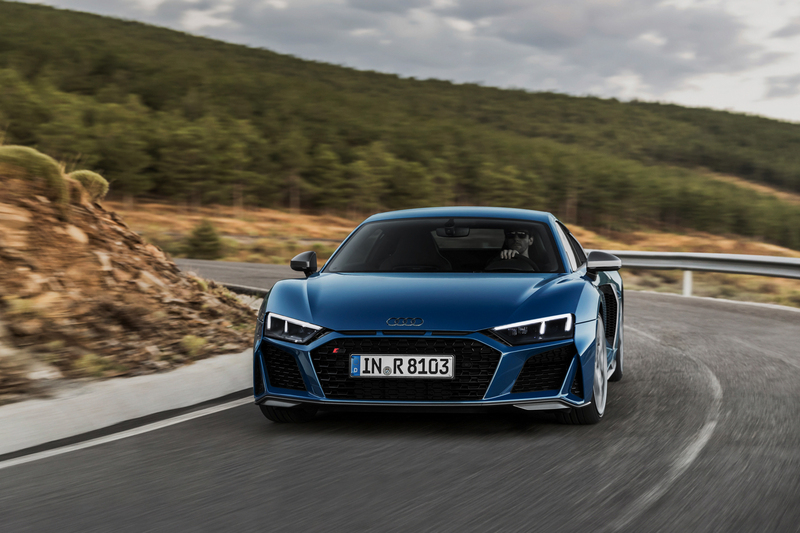 Its looks, performance and screaming V10 all made it quite exciting enough. However, this newly refreshed car seems to be sharper, angrier and even better looking. We can’t wait to drive it. 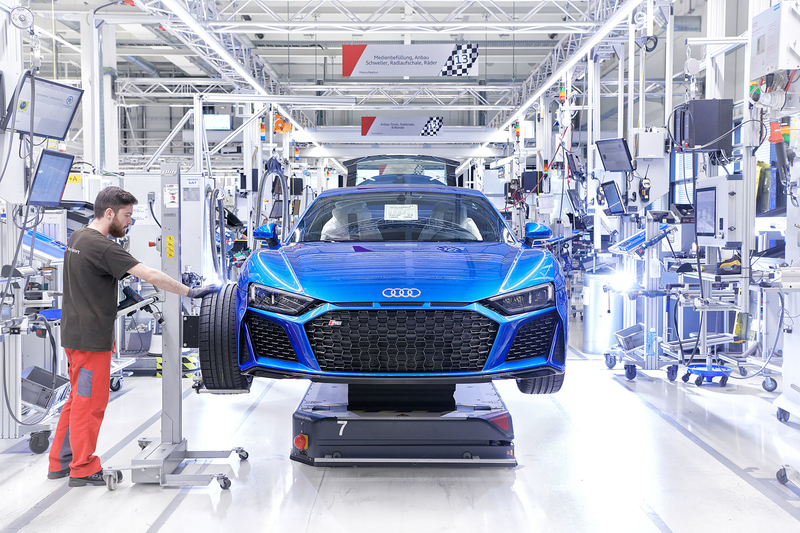 Deliveries will start in the first quarter of 2019 in Germany and select other European countries. No word on it coming to the US.